With the notable exception of Rick Moonan’s Fish Without a Doubt, most of the seafood cookbooks around our house are as quaintly dated as the 1950s Better Homes and Gardens Cookbook passed down from my mother. In most cases, the recipes themselves are not terribly outmoded. But many of the species they recommend have been overfished to the point where they are no longer found in markets (orange roughy) or are so endangered or environmentally harmful that they should not be eaten by anyone who cares about ocean ecology (tuna, Chilean sea bass, farmed salmon). 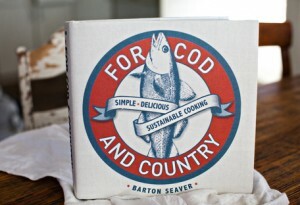 It was a welcome relief, then, to crack the covers of Barton Seaver’s For Cod and Country: Simple. Delicious. Sustainable Cooking. Seaver, a chef, won acclaim for his work at Hook, a Washington, DC, restaurant. He is currently a National Geographic Fellow. For Cod and Country is a user’s manual for any seafood lover who wants to eat sustainably—and very well. Seaver’s book vibrates with personality, practical advice, photographs (both evocative and how-to), and stovetop wisdom: never be shy about adding butter, but go easy on the black pepper. With the help of step-by-step photographs, he demonstrates seafood savvy techniques, everything from how to fillet a bass to how to open an oyster without severing one of your arteries. He also provides a list of substitutions for overexploited species: Use Pacific cod in place of Atlantic cod; sablefish instead of Chilean sea bass; squid instead of octopus. A firm believer in eating lower on the food chain than we do now, Seaver eschews large predatory species like bluefin tuna and sharks. His recipes stress fish like anchovies, herring, catfish, mahimahi, and mackerel, used in ways that are anything mundane: a Mackerel Melt with smoked canned mackerel in place of tuna; braised greens with anchovy purée; Pacific cod with ginger braised asparagus; sardine and capered egg salad sandwiches. The recipes in For Cod and Country allow seafood lovers to dig in with gusto—and good conscience. 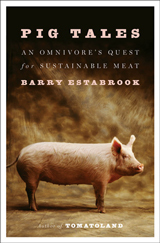 May brings another must-read for people who like to eat fish and want to be able to continue to do so. In case you missed it in hardcover, Paul Greenberg’s bestselling and James-Beard-Award-winning Four Fish: The History of the Last Wild Food is scheduled to come out in paperback at the end of the month. 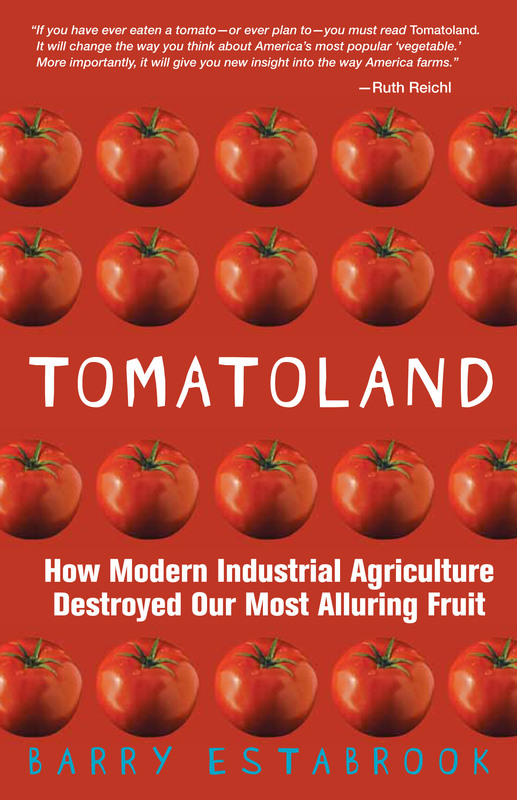 Greenberg presents an engaging and intelligent depiction of the problems facing fish stocks and then provides refreshingly balanced, workable solutions to those issues that include both wild and farmed fisheries. Greenberg gives readers the scientific and intellectual background every seafood lover needs, Seaver shows you how to apply that knowledge in your kitchen.